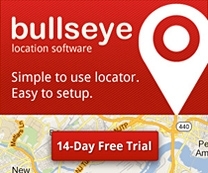 Every so often we start to notice a trend in startup companies trying out Bullseye Store Locator Software for their websites. And right now that trend is with the craft beverage industry. So if you’re looking for some inspiration for your microbrewery or distillery website, then you’ve come to the right place. We’ve rounded up 10 examples of craft beer, wine and spirit companies using Bullseye Store Locator. Deep Eddy Vodka is handcrafted in their Austin distillery by a team serious about creating a great spirit. Their vodka is distilled 10 times using corn, the finest Texas water and natural flavors. Leaving only smooth, clean vodka and award winning taste. Tanteo Tequila is an ultra-premium collection of flavor-infused, 100% Blue Weber Agave blanco tequilas – Jalapeño, Tropical and Cocoa. Staying true to the spirit’s traditions, Tanteo is distilled, infused and bottled in the historic mountain town of Tequila, Mexico and is produced using local, estate-grown agave and whole, local jalapeños, fruits, and cocoa beans (not flavoring chemicals). What started with a married couple and their dog, has blossomed into a crew of nine and a community of beer drinkers who enjoy drinking fresh, handcrafted beer. Independence Brewing’s talented crew has grown over the years, but the passion for great beer has never wavered. Barrell crafts products that explore the unique effects of different distillation methods, barrels and aging environments, and bottles them at cask strength. Every batch of bourbon and whiskey they produce is a limited release and has an intentionally distinct flavor profile. Every barrel and every batch they bring you will be different. St Augustine Distillery knew that if they could bring some of the world’s best distilling experts to them — the oldest and coolest small city in America — with access to locally grown sugar cane, wheat, corn, and citrus, they could develop a ﬁner quality spirit than just about any other place in the world. At Copper Fox Distillery, they dedicate themselves to making great American spirits. Their whisky is hand-crafted with original ideas. They start from scratch, hand-malting their own barley and flavoring the grain with apple and cherrywood smoke. Then the spirit is aged a little over a year with a progressive series of hand-cut, toasted fruitwood. The Tommy Rotter creative process is inspired by the Tommyrotters’ Club, a band of rebellious craftsmen and artisans in the early 20th century who broke rank from the Arts and Crafts Movement to create for creation’s sake. They sought adventure, mischief and inspiration in nature. Their work honored an industrious spirit of back, hand and heart. Long Road Distillers has been on a journey to develop spirits worthy of people’s admiration. The result is an uncompromised lineup of spirits. Proudly served in West Michigan where they call home. They don’t source spirits, they source ingredients—the way it was meant to be done. Rías Baixas (ree-ahs-BUY-shuss) Albariño wines hail from “green Spain,” the cool and wet northwest coast. Crisp, elegant, and fresh, these white wines burst with aromas of green apple, citrus, peach, and honeysuckle. Check out this list of craft beverages and spirits web design examples.